In this episode you’ll hear from Jennifer Holland, Founder and CEO of Throat Scope. Jennifer’s passion lies in inventing, designing and developing medical products that will revolutionise the healthcare industry. Her first invention was Throat Scope, which has had outstanding success across the globe and began as the foundation of Holland Healthcare. Throat Scope was the recipient of ‘What’s Your Big Idea Queensland?’ in 2011, which included a $50,000 prize money from the Queensland government. This allowed Jennifer to develop and patent Throat Scope and have several working prototypes made. In 2015, Jennifer and Throat Scope were featured on Shark Tank Australia. Jennifer secured investment from Steve Baxter and this exposure propelled the business. In October 2015, Throat Scope was launched into the Australian retail and healthcare markets. Throat Scope broke a retail record with a company, which saw the product signed in seven days. Jennifer has since negotiated several lucrative distribution deals with both domestic and international companies. 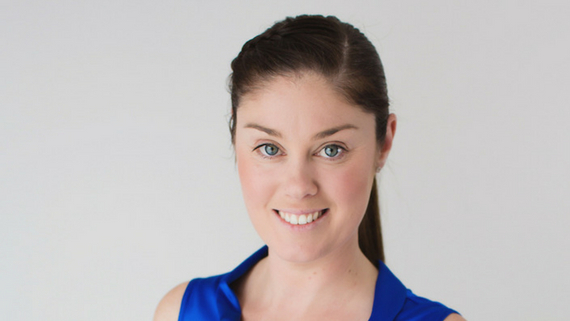 Jennifer has been awarded several awards for her hard work and determination which include, gold product innovation winner at the Ausmumprenuer Awards 2017, Best Presenter Award at the New York Venture Summit 2017, Edison Award Winner 2017, Lake Macquarie Young Entrepreneur of the Year 2016, Sydney Design Award Winner 2015 and QLD ‘What’s the big idea’ Winner of $50,000. Jennifer also actively participates in speaking and networking events internationally. Jennifer outlines her incredible story of the invention of Throat Scope and the struggle to get it funded and into the market. Her mantra – Believe, Act, Persist has been at the core of her undying enthusiasm to make a difference. And her advice for the next generation of leaders is Don’t Settle, get out there with enthusiasm and persistence and try a different way if the first way doesn’t work. Prepare meticulously for big opportunities – I watched 108 episodes of Shark Tank US to prepare for it. Whatever I do I know there is another way to do it. So if one doesn't work I'll walk through another door. When people say to me, “no, you can't do that”, for me that is the biggest driver.